Careful section of a CAV rotary pump for training purposes, showing all its operating parts. 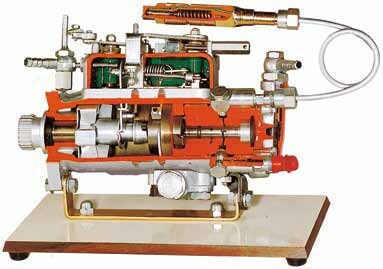 The transfer pump, the speed governor, the automatic advance regulator, the hydraulic sensor device, the fuel circuit and the pumping small piston are clearly shown. It is supplied complete with an indirect injector.